We made a cute leprechaun hat...which was originally for Tim, but surprisingly, a 9 month old little boy didn't want to wear it. ;) So Abby styled it while working on her leprechaun face craft. She loves googly eyes and coloring, so this was right up her alley! 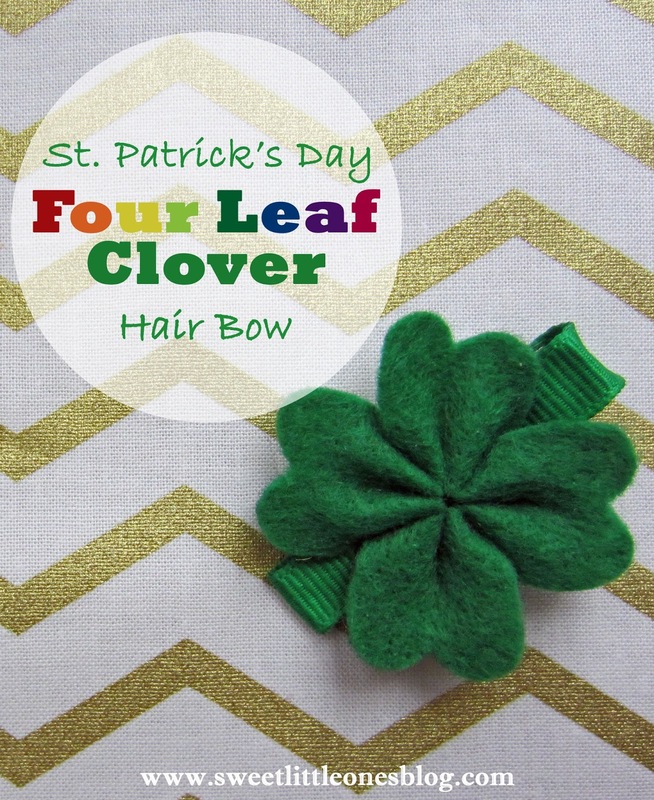 As for what we are going to wear, Jess made Abby a four leaf clover hair clip last year - which does double duty for ND fans ;) Jess wrote up a post on how to make it yesterday. It is so cute and pretty easy to make! We also have a Saint Patrick movie that we'll be watching so we actually learn about the Saint himself on his special day. And of course, we will need some treats to snack on during the movie. I'm thinking we should try some mint puppy chow or Rice Krispie treats with green M&Ms/sprinkles. I typically add food coloring to all our food that day - pancakes, pasta, milk - just to add some fun to our meals :) Do you have any favorite Saint Patrick's Day food? 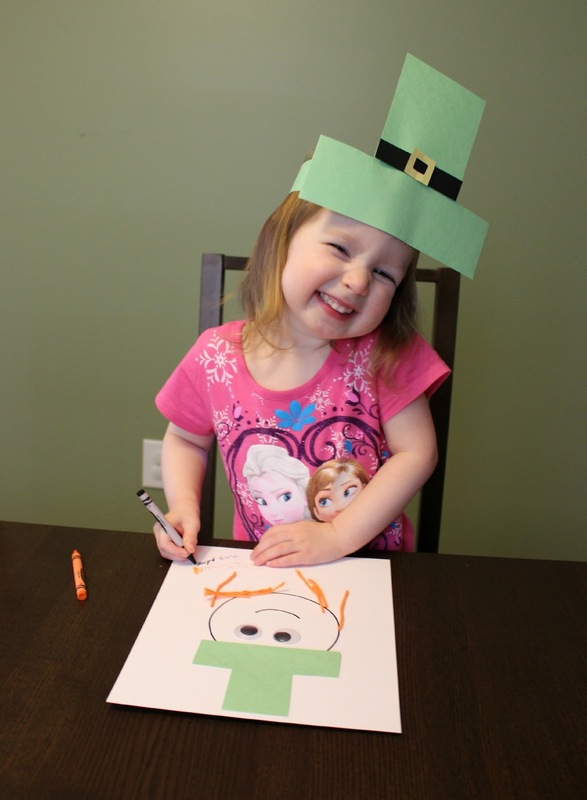 Follow Sweet Little Ones's board St. Patrick's Day on Pinterest. What do you do for Saint Patrick's Day? Such cute ideas! We usually do one craft, but most of my ideas involve food. Haha! I usually make a green jello parfait or green milkshakes for dessert, but this year, I think I'm going to make a green pudding parfait! And, of course, green clover pancakes, green milk, and special treats in my older kids' lunchboxes. I love the hunt idea! Are there clues involved? Prizes? Or just the fun of the search? Green milkshakes sound amazing! I'm sure your kids love having those special treats in their lunches :) Sounds fun!! I love the idea of a scavenger hunt! I will have to try that out next year :) I think a 2 year old may understand better rather than the 1 year old we have now. It was a lot of fun! 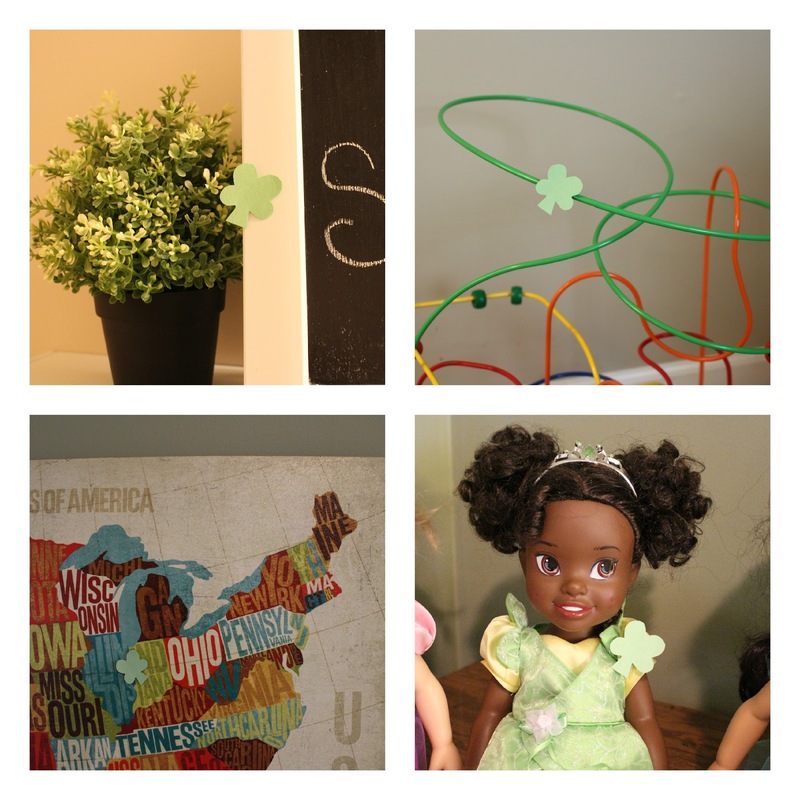 Abby is 2 and she really liked searching for the clovers :) Definitely try it next year!! You have such great ideas. I love them all! I know we would get along just fine because I love crafts too. The scavenger hunt is such a cute idea.